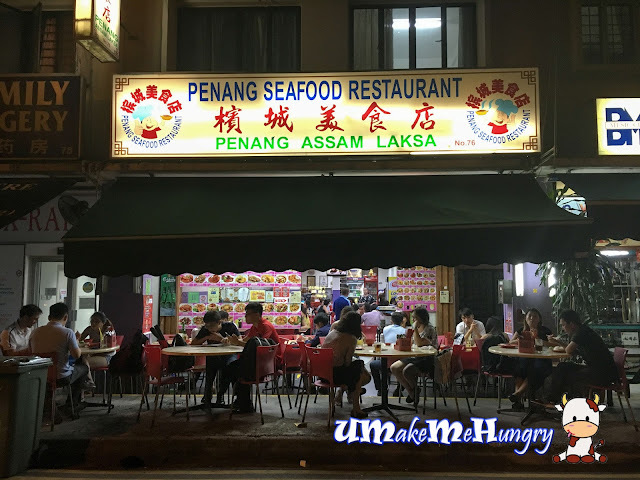 Did a last minute check with the buddy who stays in the area as our "dictionary" for food is running out of ideas as we were quite limited to the usual Beef Kway Teow and Frog Porridge in Geylang for dinner. 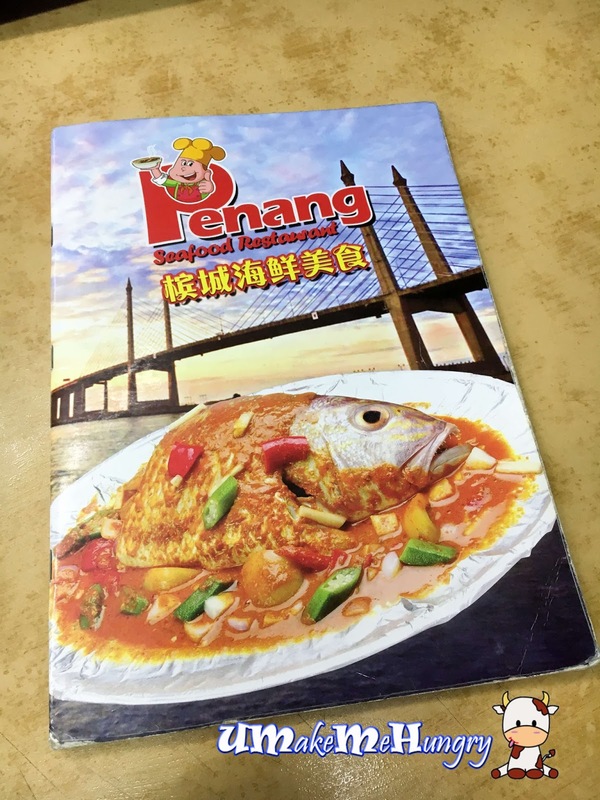 She recommended Penang Seafood Restaurant which is just a stone throw away from Ajunied Station. The Penang Restaurant which is also serving Cze Char is bustling with people. Not to worry about the seats as the turn over rate there is rather high. Servers are rather polite and quick to attend to our orders. 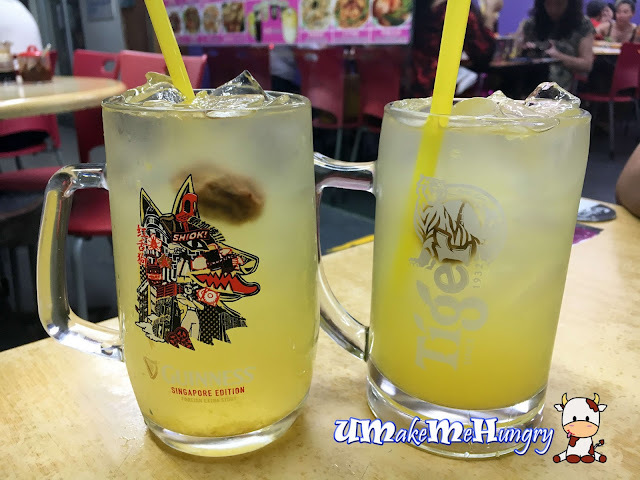 The environment gave a feel that we are in Malaysia and even the variety of drinks they served is so closed to what the usual coffeeshops in Malaysia offers, Ice Jelly, Herbal Tea and even Lime juice with sour plum. The safest choice to order if you are lost among the dishes in the extensive menu. If you have heard of Penang Cuisine, Assam Laksa is one of their staple dishes. 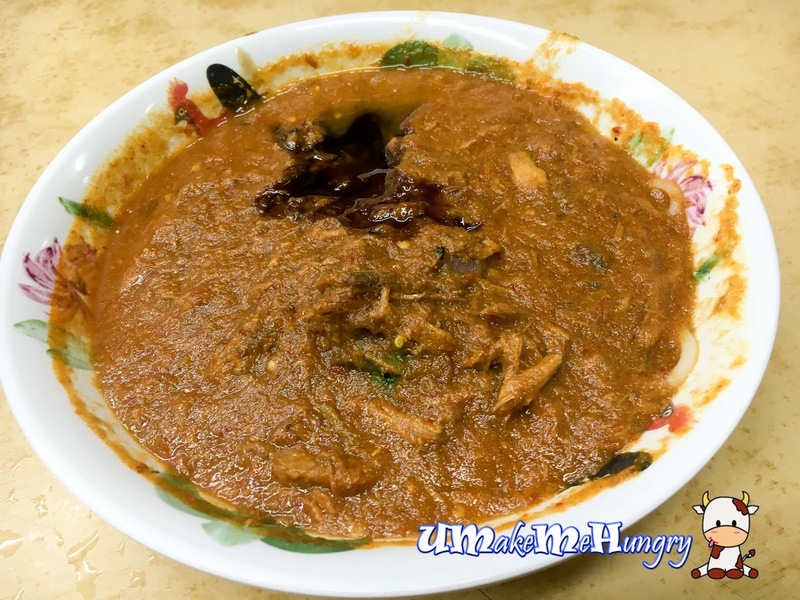 This signature dish of theirs is sour by default with Tamarind (Asam). Look around the tables, I bet you will see majority ordering this. 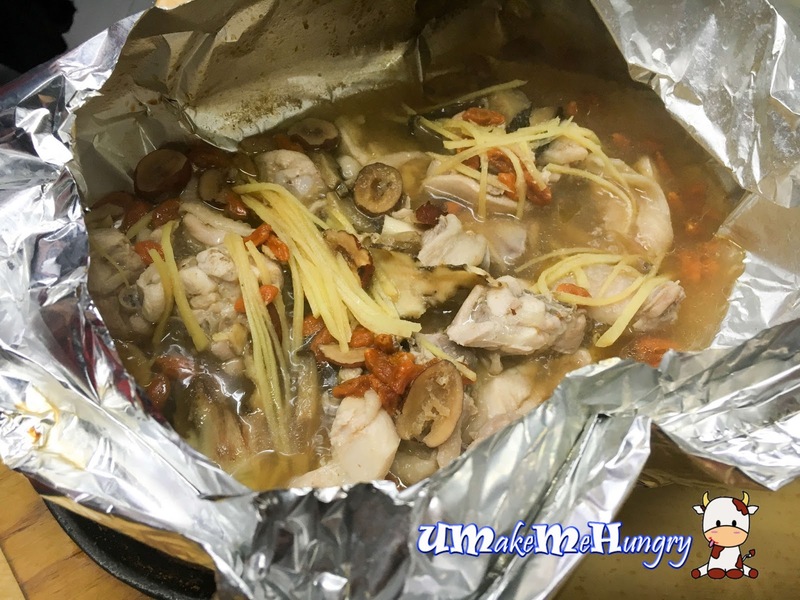 And if you like sour and sweet food, this is a perfect choice as the bowl is filled with ingredients like shredded cucumbers, onions, chillis, pineapple, lettuce and mackerel fish. The level of sourness is very well executed and appetizing. Better than average and its addictive. 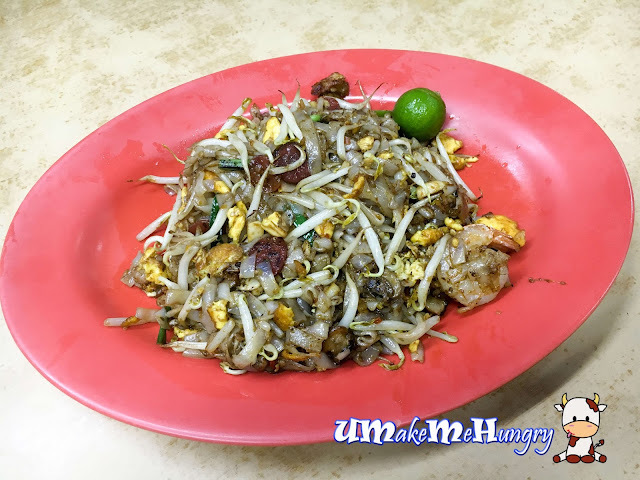 Penang style of Char Kway Teow is usually not of my preference as I prefer the Singaporean style that is usually coated with the sweet black sauce. Surprisingly, these plate of flat rice noodles was remarkable with its "Wok Hei" taste coupled with ingredients like bean sprouts, cockles, chinese sausage, prawn, guchai and egg. Its aromatic but just too bad, the man insisted that he prefers our local style. 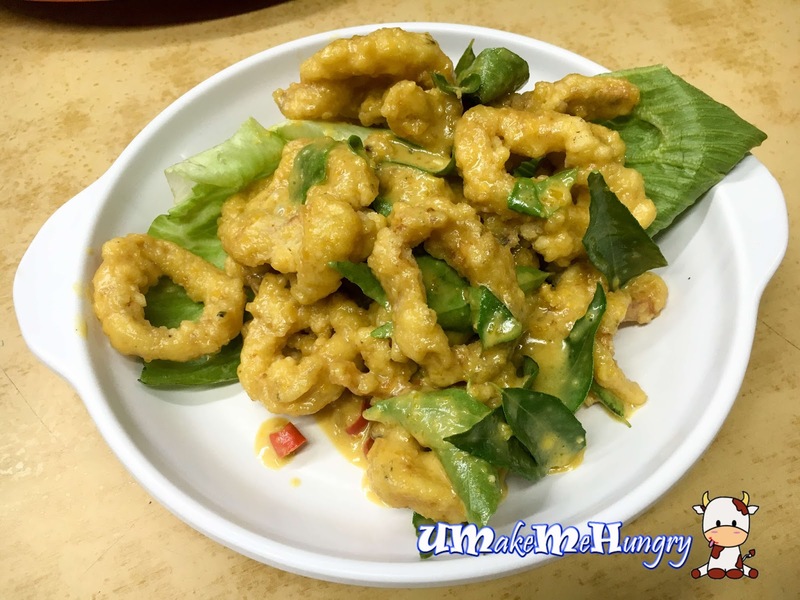 With Salted Egg Yolk trend still in the hype, they have kept their food menu up to date! With this being the chef recommended dish, I had expected more with something outstanding. No doubt the sauce is creamy and yummy, the dish still lacked the fragrant as well as the Wow factor. Beware of the steaming hot plate below the bloated aluminum pack. Loving the way how this dish is prepared in the aluminum pack and slit open in front of us when being served on our table. Herbal taste is evidently packed with an alcohol infused whiff from the Chinese wine. Steamy herbal soup is sweetened with the use of sweet dates and wolf berries. Beside that, ginger strips and mushrooms were also part of their ingredient. All was good except that I'm not too keen with chicken with bones bits in it. Penang Seafood Restaurant offers a decent fare of Cze Char dishes and since there are many other signature dishes like LaLa and Hokkien Mee that we have yet to try out. I don't mind coming back again.